The 4 Corners of the World contain considerable power and energy. They are in the reaches of everything that is, was, and will be in all areas and times of life. Each of the corners represent an important aspect of life and possibilities. 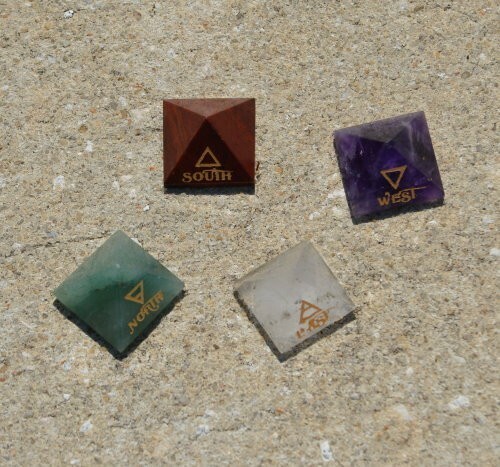 You will receive a gemstone pyramid which is bound with powerful spells which speak to each corner. Each corner provides a unique power which will complement and add to your life. The power connected with each of the Corners governs variants o f life and paths. You can use the powers of each of the corners to add positively to your life, to change direction, to change something about yourself or a situation, and to provide a strong & powerful connection in many aspects. You will expand your vault of power and energy to make a greater difference in your life; personal, love, paranormal.